First 2 Months Rent Free ! .on apartment homes listed or pictured directly below. Check out this unique condo style apartment home located just outside downtown in the most desirable neighborhood in Austin, Tarry Town. This beautiful living space is set inside a private and small multi level complex that includes a state of the art gym and resort style sun deck with a georgous swimming pool. This apartment is decked out from top to bottom in dark hard wood with elegant finishes to the kitchen and back bathrooms. The Leaf Group Luxury Apts. Don't see what you are looking for? Call now, for a free list of luxury apartment homes made specifically for you! First Months Rent Free ! .on apartment homes listed or pictured directly below. At the heart of an eclectic neighborhood that is architecturally creative and very modern downtown . Loaded with interesting places and people, you will experience more than just good looks here. Residents are offered exclusive discounts at nearby retailers and eateries. Free Parking Space & $199 app/admin. on apartment homes listed or pictured directly below. Come live in the finest Apartment Community in Downtown Austin. Ultra Luxury apartment homes Available for immediate move in. Please call for details. "Floor Plan" "Square Footage" "Pricing"
"1 Bed/1 Bath" "698-727"	"$1708+"
This gem of an apartment home is located in South Austin’s finest apartment community. Residing on South Lamar at the center of Austin’s most culturally vibrant neighborhood, residents can walk to Austin’s favorite entertainment and dining destinations. This well‐crafted floor plan includes high quality finishes and stainless steel appliances. 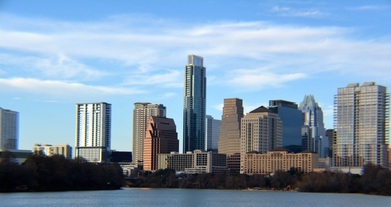 Views are spectacular with the Austin skyline front and center. Please call to view. Half off Application and Admin Fee! .on apartment homes listed or pictured directly below. First Month Free Rent ! .on apartment homes listed or pictured directly below. Live Downtown Austin in this 2 bedroom suite at a fraction of the price of similar luxury apartment homes in the area. Located just minutes from it all, you will be walking distance to all Downtown Austin has to offer. Bars, restaurants and night clubs will be within arms reach from you in this quiet apartment home community. You will bask in sunlight in this well lit apartment home or go take a dip in the beautiful blue and refreshing swimming pool. Please call to schedule a viewing! $500 Gift Card upon lease ! .on apartment homes listed or pictured directly below. Welcome to Austin's newest and favorite boutique living experience. Nestled between Downtown and Lady Bird Lake. A short jaunt from everything that your heart desires: from shopping and fine dining to biking and leisurely walks around the lake. Homes feature low-emitting finishes, rapidly renewable materials in the solid bamboo wood flooring, and energy efficient lighting packages with designer touches. Please call for a viewing. First Month Free Rent! .on apartment homes listed or pictured directly below. Available now, this unique one bedroom apartment home is located on the most interesting and influential corridor of Austin. Just a stones throw away from Downtown, Zilker Park and Barton Springs. Style and enthusiasm are encouraged by the artistic feel of this luxury apartment community. If true Austin flair is what you're looking for, you've found it here! One month free on 12 month lease. Please call for viewing. Two Weeks Free Rent! .on apartment homes listed or pictured directly below. Take a look at this beautiful one bedroom apartment home, designed with an open and spacious living space. You'll enjoy the chef's kitchen that offers versatility with its large island workspace, great for any occasion. The dark hardwood floors give this entertainer's delight the classic look and feel of a truly modern dwelling, while the soft carpet in the bedroom makes for a comfortable resting space. Located just minutes from Zilker and Downtown. Please call to view this luxury apartment home. $500 off First Months Rent! .on apartment homes listed or pictured directly below. Experience the excitement of downtown living, offering a modern living experience with all the convenience of a resort. Enjoy the peace of mind with remote access to a multi-level parking garage. You can spend some quality time with your pet at the private pet park. This resort-style pool makes the perfect spot to go for a swim or simply relax on the sun-deck while using the complimentary poolside Wi-Fi. Please call to schedule a viewing. First Month Free Rent plus $500 Cash Back plus $ 0 App and Admin! This georgous luxury apartment home incorporates a dramatic living space with high ceilings, expansive windows and custom color accent walls. Open-concept gourmet kitchens with stainless steel appliances, granite slab countertops, stone-tile backsplash, custom cabinetry and large islands provide the perfect setting for your private gatherings. Please call to schedule a viewing. any style of music and there's support that will follow you. You put your ideas together and try them out here.